A view of Newport harbor. The Newport Wine Cellar is a boutique wine shop located at 24 Bellevue Avenue in Newport, Rhode Island. This wine cellar specializes in hand crafted wines that are made in small batches from around the world. If you're looking for unique wines to pair with special meals or to share with friends, this one-of-a-kind shop has much to offer. The owners of the Newport Wine Cellar, David and Maria Glade, welcome visitors who are eager to try something new. In order to provide the right atmosphere for exploring wines from around the world, wine tastings are offered in the store every Friday from 4-7 PM and Saturday from 3-6 PM. While delicious wines are always in abundance at these tastings, the occasional hand crafted beer may also be offered. The owners also host occasional wine seminars so that visitors can learn more about the unique wines that are carried in this boutique. Call ahead at (401) 619-3966 to learn about current offerings. Many people are attracted to the area around the Newport Wine Cellar because it is located in the Historic Hill neighborhood. 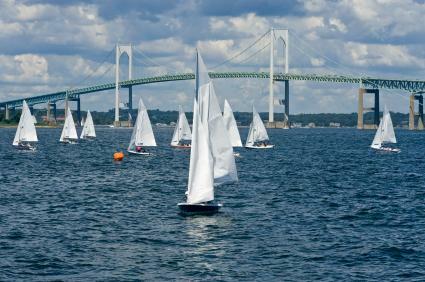 The town of Newport boasts many attractions as well as a wide variety of Bed and Breakfast establishments. For those interested in staying within a short distance of the Cellar, consider making reservations and staying at one of the many Inns on Bellevue. The Newport Wine Cellar is open Tuesday through Saturday from 12 to 7 PM and Sundays from 12-5 PM. The owners will be happy to assist you in selecting the right wine for a meal or special occasion. Visit their website, Newport Wine Cellars, and while you're there, sign up for their free email newsletter that is chock full of wine information and special event notifications.